Hope everything turns out alright, sir. 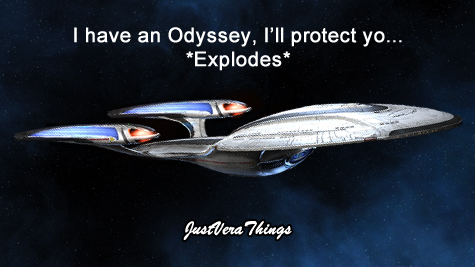 Sorry Inferno, a tribble ate your copy of the message. Thanks for the well wishes everyone. Still wading through stuff as thick as month’s old Targs droppings, but we’ll get there. I’m slowly returning to the game at odd times and hope to be back more often soon(tm). In the meantime I’m very proud that the 44th is still going strong as ever ! This reply was modified 2 months, 3 weeks ago by Marcase. Congratulations, Fleet Admiral Akula !!!! Honestly, I had hoped for as much considering the heart that he has for the fleets well being. Now, speaking of well being, I hope and pray that whatever family challenges Marcase is now facing is not in the health category and soon to be overcome. Stay strong my brother! 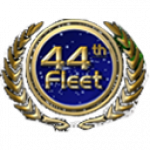 Also, a quick shout-out to all of the other fleet mates and wish you all good health and happiness. I too am faced with challenges that may make STO activity next to impossible but I want you all to know that you are greatly missed. Where Knowledge is Power, Truth is Withheld. Thanks for the kind words. I appreciate them and I’m sure Marcase does as well. In the meantime I’m very proud that the 44th is still going strong as ever ! Proud is an interesting word to use, especially when the word usually used is concerned XD. Or is that just the discord. Sorry to hear about your troubles Marcase. I hope things will work out and remember you have the fleet behind!. Congratulations Akula, I just wish the promotion was under better circumstances. However having only just logged into the forums for the first time in a while I had no idea that there was a change so well done management team!